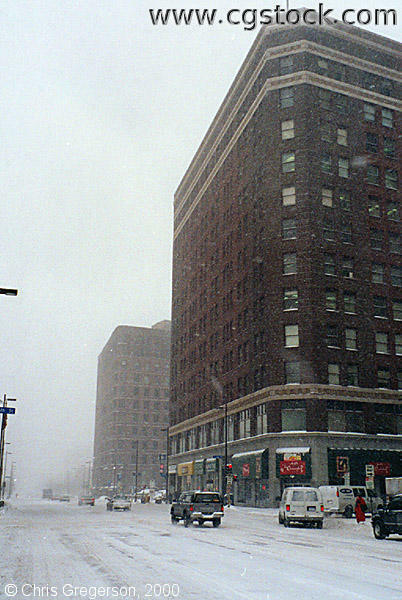 You are on the west side of Hennepin, looking northeast at the Plymouth building. Across the street to the right is City Center(out of frame). This picture was also taken during the snowstorm on January 19th. White-out conditions obscure the Hennepin Ave. suspension bridge, which would otherwise be visible in the distance.